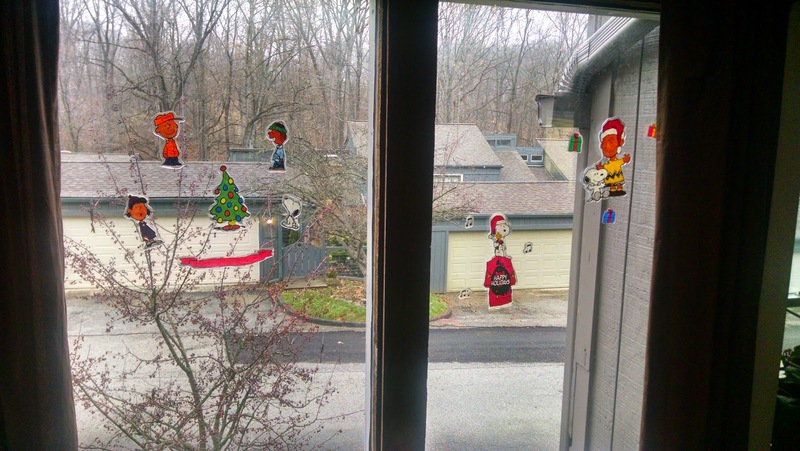 Each year I like to do a recap of what our Christmas decorations looked like. Eric and I love decorating for Christmas and it shows! 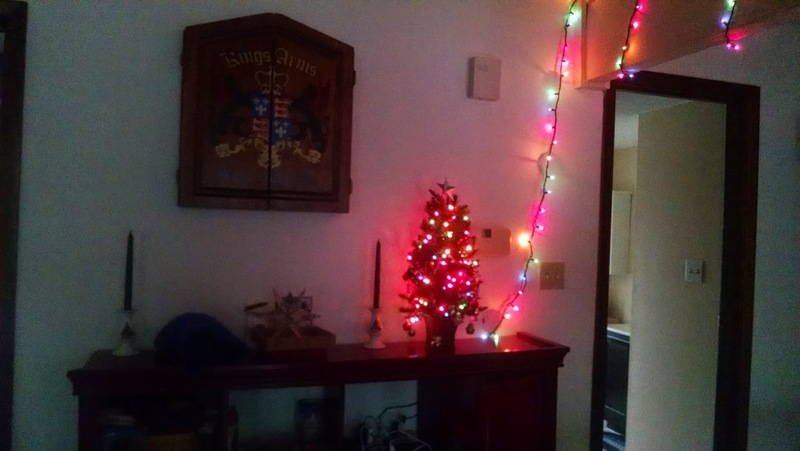 Each year it seems we have something a little different (besides new ornaments). This year we bought a second tree! 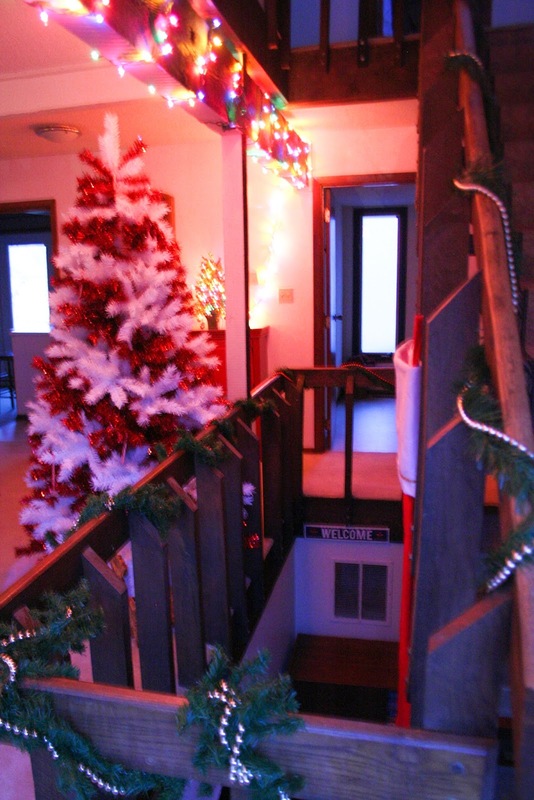 It is a 7 foot tall Candy Cane Tree - red and white stripped. We decorated it with candy canes, naturally. 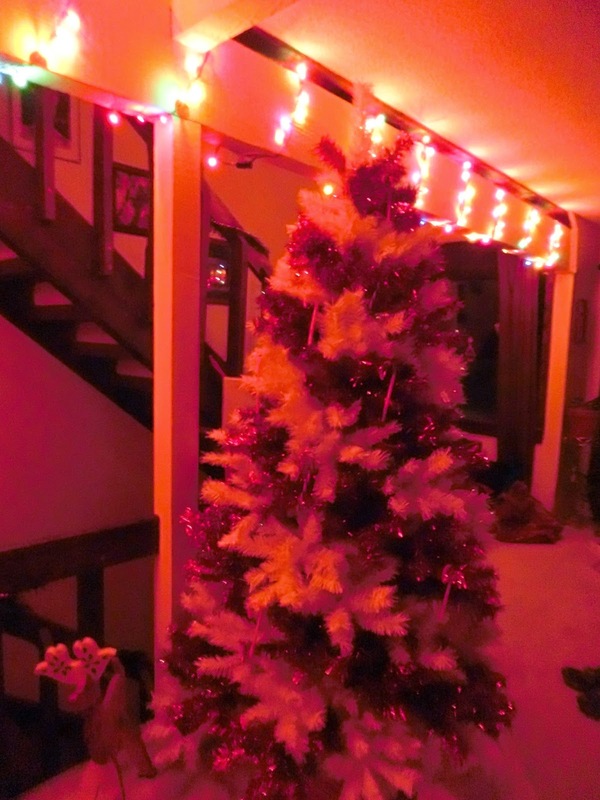 We debated putting lights on it but opted not to for this year; we'll see what we do next year. Behind the candy cane tree you can see our giant stocking. 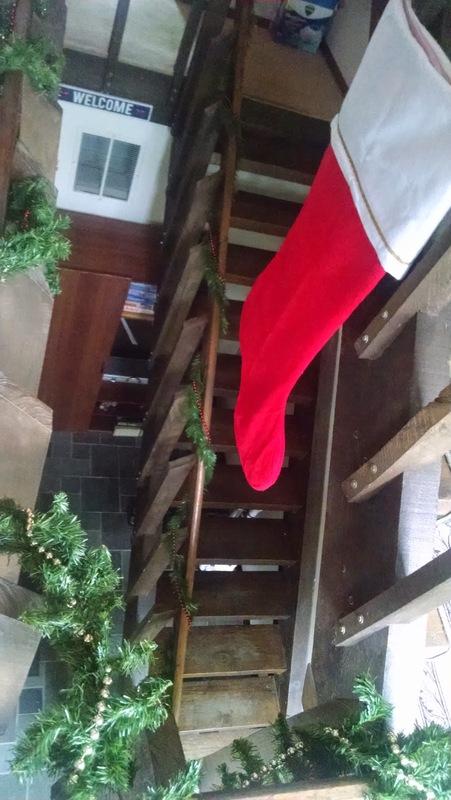 The open stairs back there were the perfect place to hang it from. 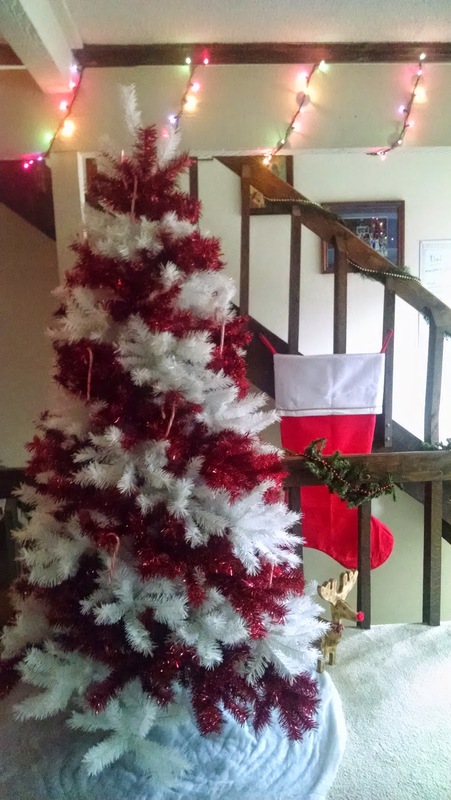 Our first tree, our 7.5 footer, was up in one of our front windows, looking beautiful like normal. In the library, we put our Happy Holidays Charlie Brown set on top of a bookcase. 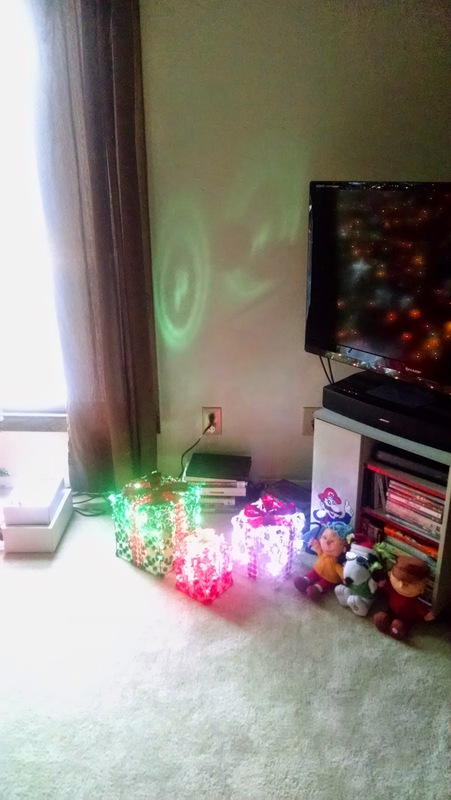 Back in the living room, we set up the light-up presents and Charlie Brown's gang by the TV. In the window by the stairs we put up our window clings. 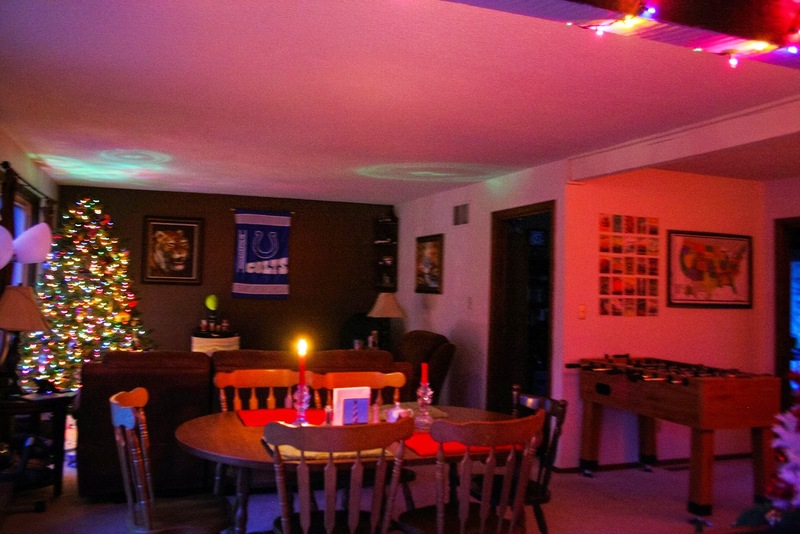 The rest of the living room has lights on the main beam (Eric surprised me with those one day! 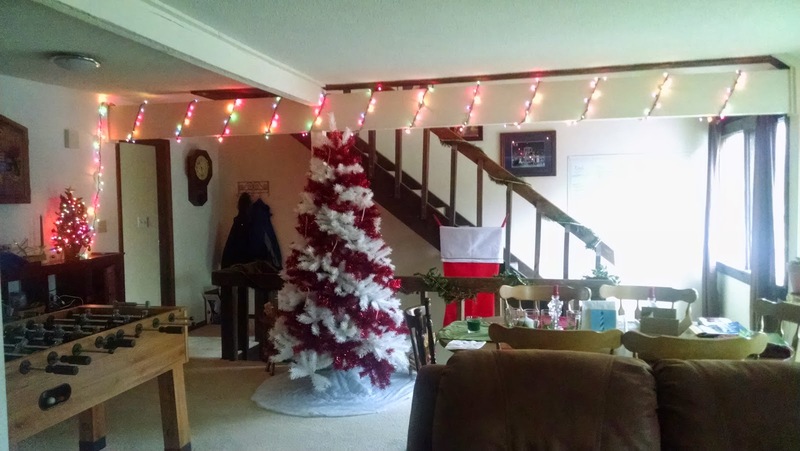 ), our third 1/4 size tree (from Eric's college dorm) sits on the hutch with lights on, and there is garland and beads on all the stairs. I think we did well for our first Christmas in this house! 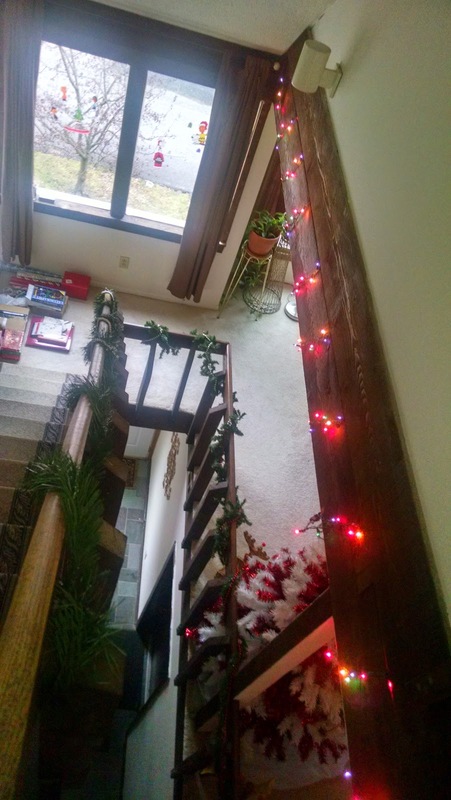 We live in a three story townhouse, but we didn't decorate the upstairs (I'm sure as life progresses and we buy/inherit more and more Christmas things, that will change). 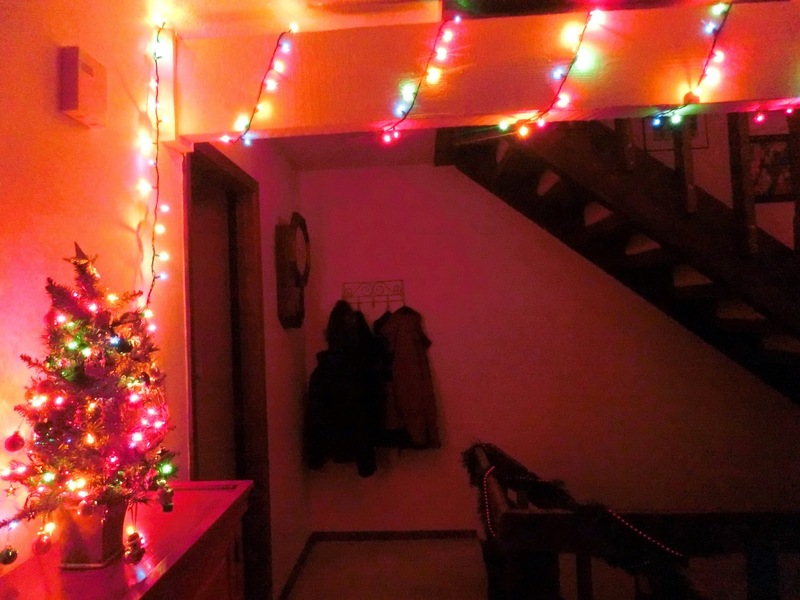 We wanted to decorate our back porch and balcony with lights, but the one power outlet out there doesn't work, so it will need to be fixed before we can do that. Hopefully next year will be the year we can put lights outside! The only thing not pictured is that we had our trusty wreath on our door, along with the Charlie Brown ice skating magnets. You can also only kind-of see the two reindeer we have (they are sitting next to the candy cane tree, one on either side). The hutch is where we put all of our holiday cards this year, but most of these photos were taken before we had received any (now the whole top is full). You'll notice our beloved tree topper is also not on top of our tree. The stained glass solder broke during the move somehow (we are so careful with it that I don't know how it happened) and it needs to be fixed by a stained glass artist. There are two over in Nashville (thank goodness for artist colonies 30 minutes away) but I have not had a chance to leave it with one of them yet. That's also on the list to be fixed!